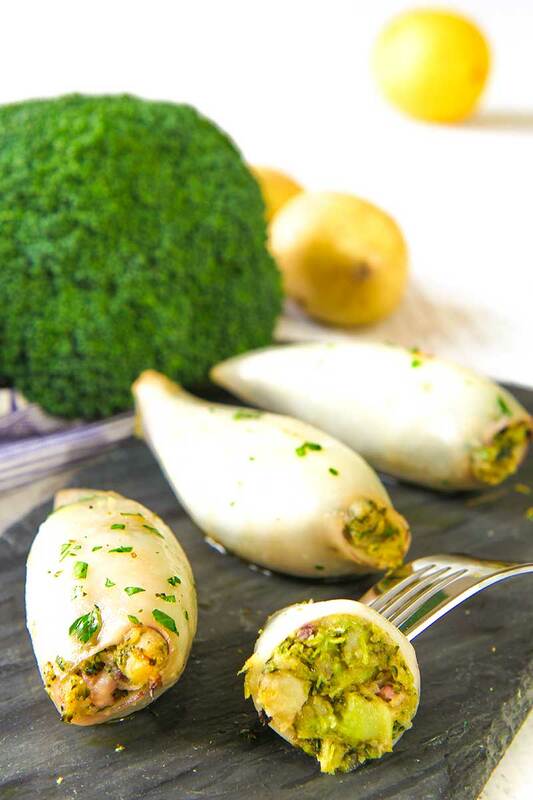 Yesterday I cooked a simple and tasty recipe: the stuffed squid with potatoes and broccoli. This fun recipe is excellent both as appetizer or entree. 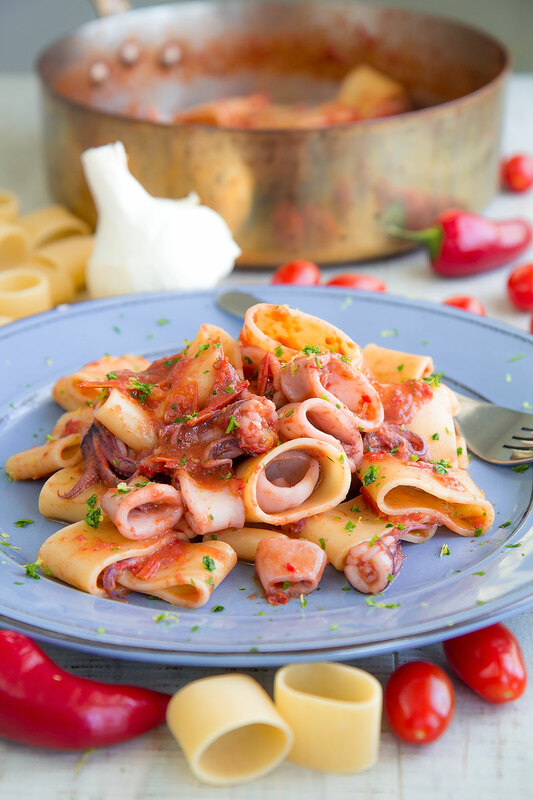 The stuffed squid have to be baked quite fast and the oven must be very hot. To speed up the preparation is possible to prepare the filling in advance, filling the squid just before cooking them.